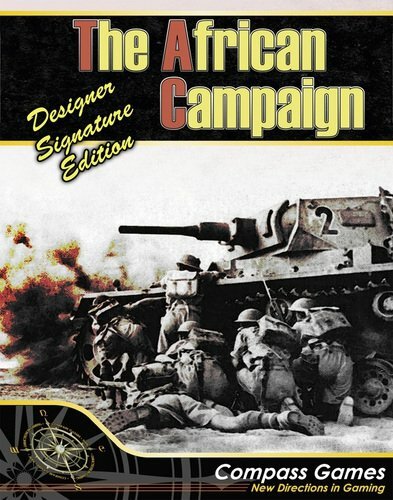 The African Campaign, Designer Signature Edition, marks the return of a true wargaming classic by John Edwards, re-mastered and updated with this all-new, supersized edition. Celebrated by many as “Afrika Korps done right,” this two-player game allows players to explore the key elements of the Desert War, beginning in December 1940 with Wavell’s first offensive, Operation Compass, against the Italian forces of Marshal Graziani, and culminating in December 1942 when the Americans landed in Rommel’s rear, thus sealing the ultimate fate of the Afrika Korps. 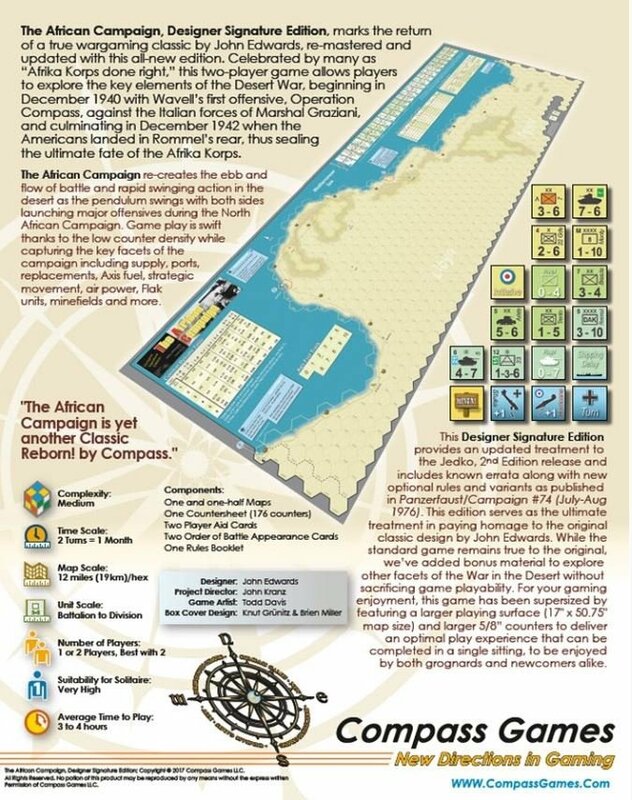 The African Campaign is yet another Classic Reborn! 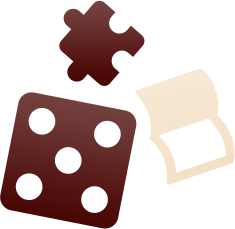 by Compass. 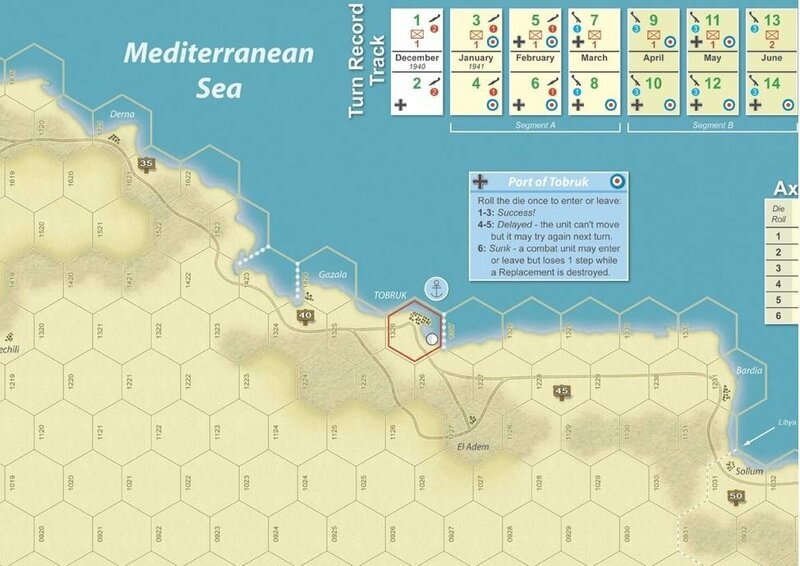 The African Campaign re-creates the ebb and flow of battle and rapid-swinging action in the desert as the pendulum swings with both sides launching major offensives during the North African Campaign. 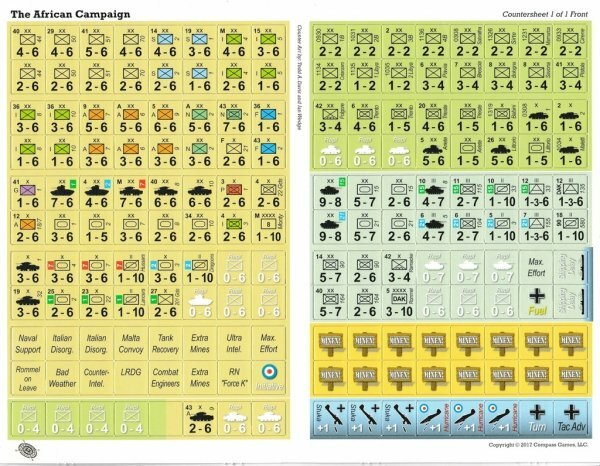 Game play is swift thanks to the low counter density while capturing the key facets of the campaign including supply, ports, replacements, Axis fuel, strategic movement, air power, Flak units, minefields and more. This Designer Signature Edition provides an updated treatment to the Jedko, 2nd Edition release and includes known errata along with new optional rules and variants as published in Panzerfaust/Campaign #74 (July-Aug 1976). This edition serves as the ultimate treatment in paying homage to the original classic design by John Edwards. While the standard game remains true to the original, we’ve added bonus material to explore other facets of the War in the Desert without sacrificing game playability. 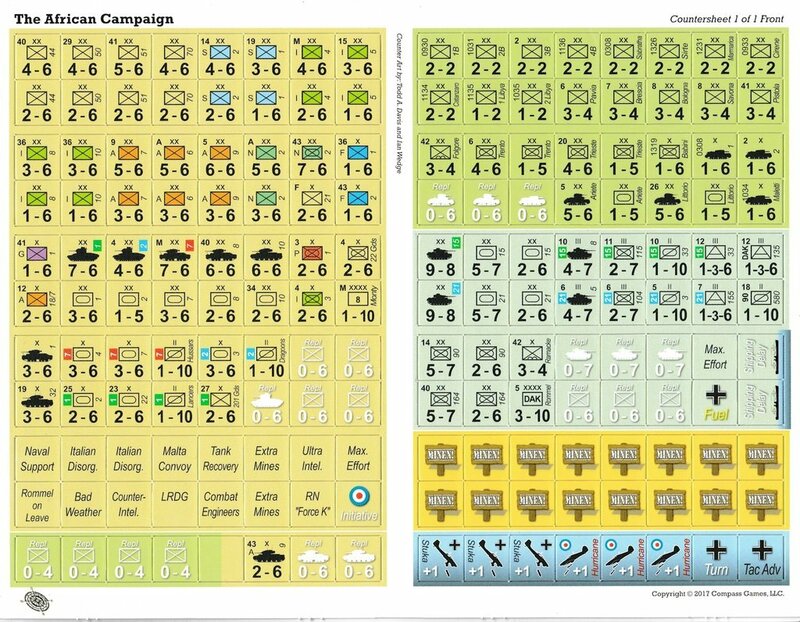 For your gaming enjoyment, this game has been supersized by featuring a larger playing surface (17" x 50.75" map size) and larger 5/8” counters to deliver an optimal play experience that can be completed in a single sitting, to be enjoyed by both grognards and newcomers alike. Two Order of Battle Appearance Cards 11" x 14"